Chrome 71 will now block all ads on abusive sites that try to trick users with fake system warnings, close buttons that don't actually work and other fake content intended to direct them to ads and landing pages. The sites using these nefarious tactics won't be blocked from Google's search engine just yet but will be given 30 days to clean up their acts. Hopefully other browsers such as Apple's Safari and Mozilla's Firefox will soon follow suit. Besides blocking fake ads, Chrome will now also warn users when a site tries to hide the real costs and terms of a transaction. For example, if a site tries to make users sign up for a subscription without informing them that they'll be charged, Google will send out an alert. The company will also reach out to sites guilty of this to let them know that their sites need to be modified. However, before the warning can be lifted, they will have to appeal Google's decision first. 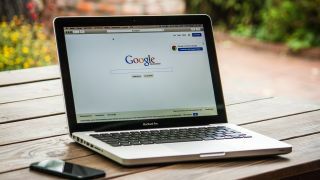 Chrome 71 is now available for Windows, Mac and Linux with the Android and iOS versions arriving in the comings weeks.